As a child, the morning gathering place for my family is a large room furnished with a wood stove, small breakfast table that is also a food preparation area and a long dining room table behind me and out of this view. Originally this part of the room was a focolare, an open raised stone fireplace with benches around. All the cooking was done over this fire and on cold days this was where you would find most everyone who lived in the house trying to stay warm. 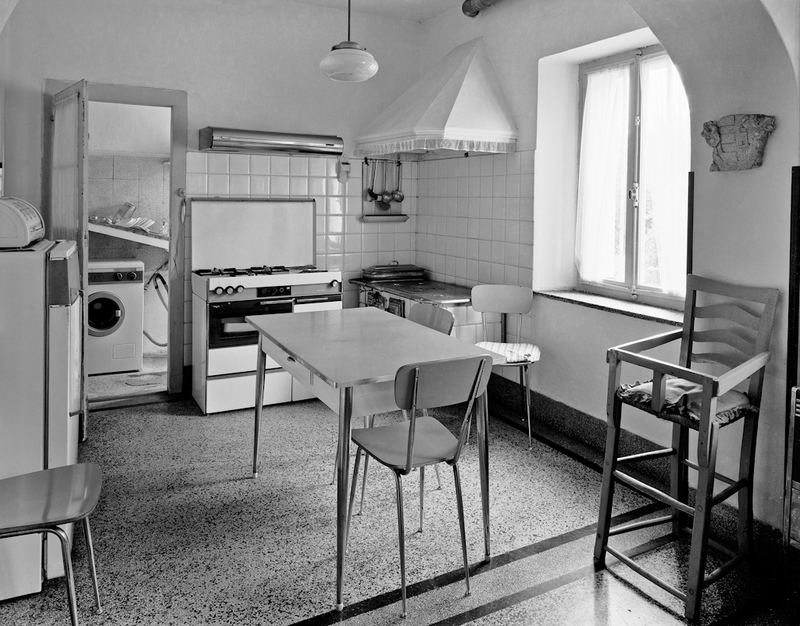 Even after the focolare was removed, for a more “modern” kitchen, this is still where we trickled down to each morning to individually eat our breakfast at the 50’s style metal edged laminate table. My family all came together at lunch and dinner around the long dining room table, lingering after each meal in conversation and laughter. When I returned, twenty-six years later, the chickens and cows along with most of the farm lands were gone. Community gas lines brought a three burner range and heater to replace the wood stove. But it still remains there, quietly waiting to be stoked once again and warm my family. Love the shot, Marco. And as I was reading, I could hear the happy sounds of family talking and lingering over meals. Thank you Cheryl! Glad that you enjoyed the photograph and the happy sounds!! !